Add lime zest and let infuse for 10 minutes. Bottle and refrigerate. In the 1800s, scurvy tormented those who worked the high seas. It was known that citrus helped ward off this nutritional menace, but fresh fruit was susceptible to spoil and vermin. To combat this, juices were preserved in alcohol, but this had problems too: some workers didn’t drink, and those who did found the mixture unpalatable. Lauchlin Rose, who founded Rose’s in 1867, patented a method to preserve lime juice with sugar instead of alcohol. Because of its broad appeal, lime cordial became wildly popular with shipping companies and naval establishments. As the story goes, the term Gimlet derives from the surname of British Surgeon General Sir Thomas Gimelette, who instituted a daily ration of lime cordial for active Navy members. Some stories claim Gimelette ordered the cordial be mixed directly into each tot of gin, but this seems unlikely. Forcing the cordial to be mixed with alcohol would negate one of its chief benefits: teetotaler friendliness. A more likely story is that Gimelette preferred to take his lime cordial with a bit of gin, which undoubtedly also proved popular with sailors trying to force down government liquor. 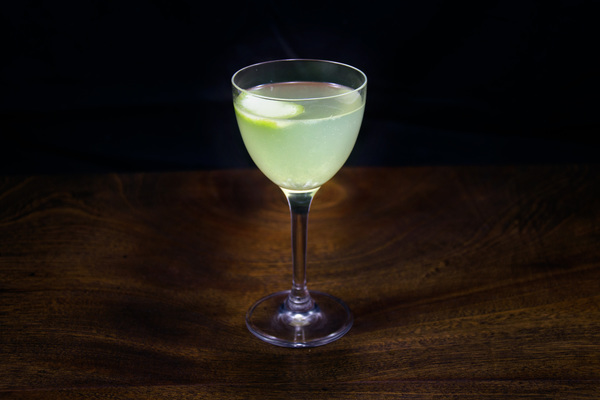 Light, refreshing, and almost dangerously drinkable, the Gimlet is perfect for daytime events and easy-peasy celebrations. 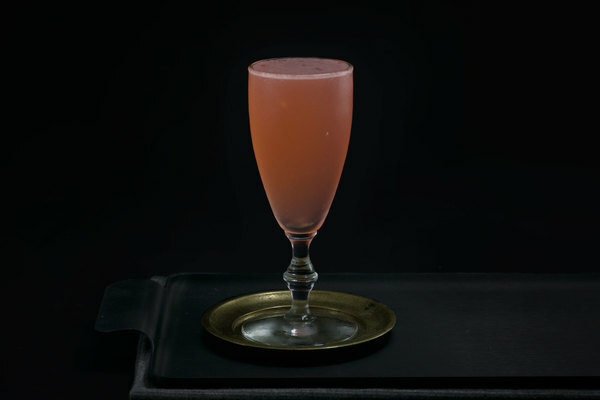 The simplicity of the recipe also makes it a great cocktail to tinker with, and a simple way to try out a new and exciting gin. It has a soft green hue with a milky, opaque consistency. 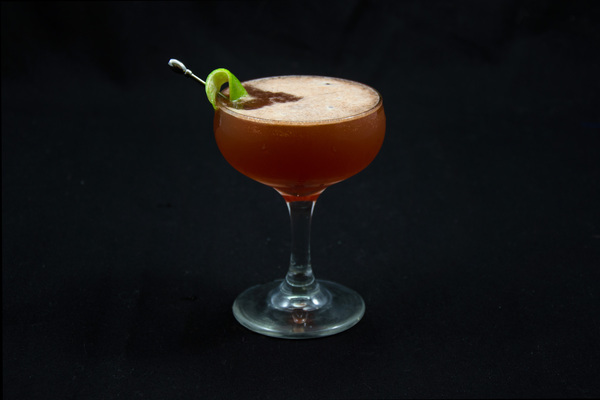 It's a bit sweeter than a daiquiri, and has a double dose of lime from the infused syrup. The nose sparkles with juniper and fruit, and the sip opens with sourness, followed by smooth sweetness. 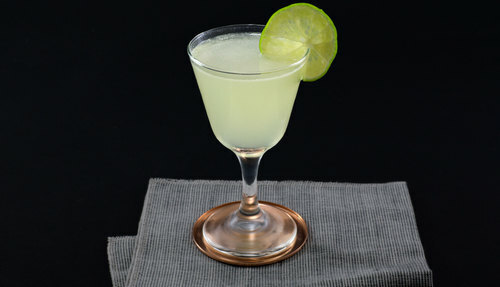 The original gimlet contained only lime cordial and gin, but today many recipes call for the combination of fresh lime and simple syrup instead. Excluding those seeking a sip of history, the version with fresh lime juice will taste better. The one downside to this variation is the absence of infused lime peel, which tastes distinctly different from juice, and is present in most lime cordials. Our favorite solution to this problem is from the PDT Cocktail Book: they use a quick and easy syrup infusion. We've taken that recipe, reprinted it here, and converted it to a size better for small bars. If you don't feel like making the infused syrup, don't let that keep you from making the drink; use plain 1:1 simple syrup instead. Many books recommend Plymouth gin in this recipe, but don’t hesitate to branch out. This simple old bird is fabulously open-minded.